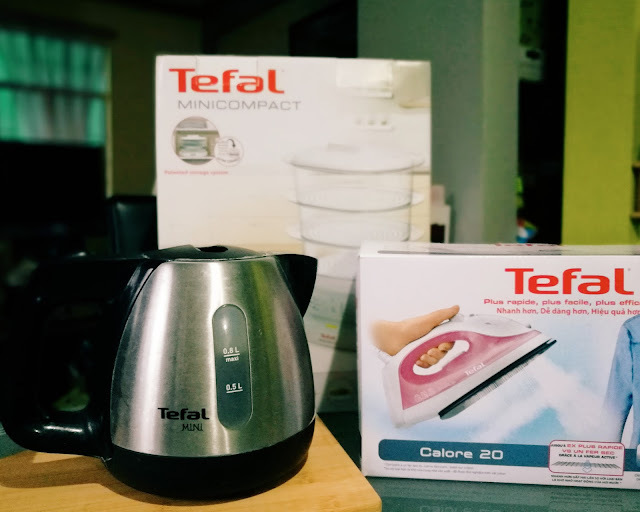 I got my first Tefal mini kettle from my boyfriend turned husband as a Valentine's Day gift back in 2012. We're still using this mini water heater up to now. It's one of my most used kitchen appliances every day. 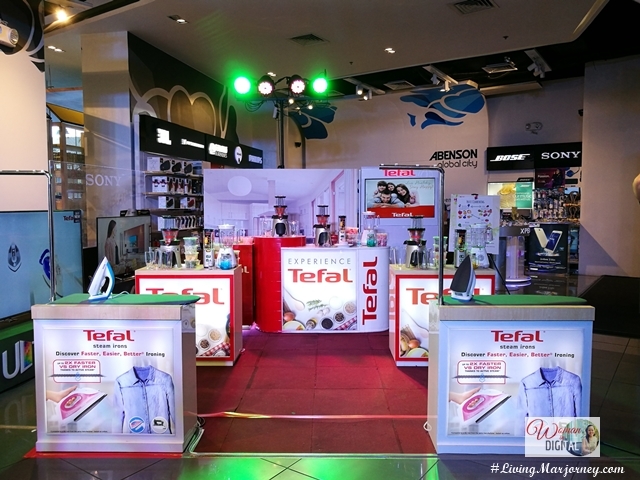 I did not know Tefal has a wide range of small appliances until I was invited one afternoon at Abensons in BGC just beside Ascott hotel. 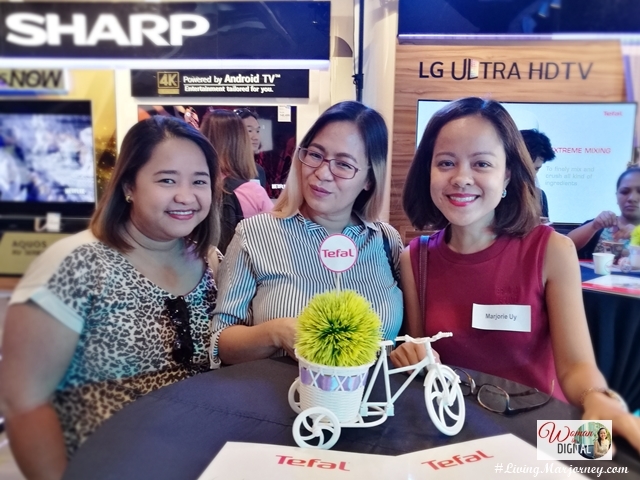 They featured some of their products including the Tefal dry and steam iron, blenders like the Fruit Sensation and Blendforce, the Infiny Press Slow Juicer, air fryer, blender, rice cooker and the multicooker. 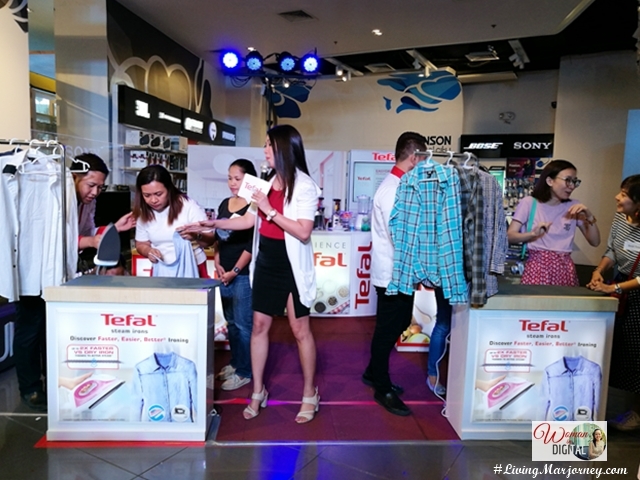 They invited two groups with three members to experience the Tefal dry and steam iron. I was so impressed with the steam iron. There's no need to exert much effort to press the fabric. With the steamer, gliding is much easier. You save time, effort and energy. 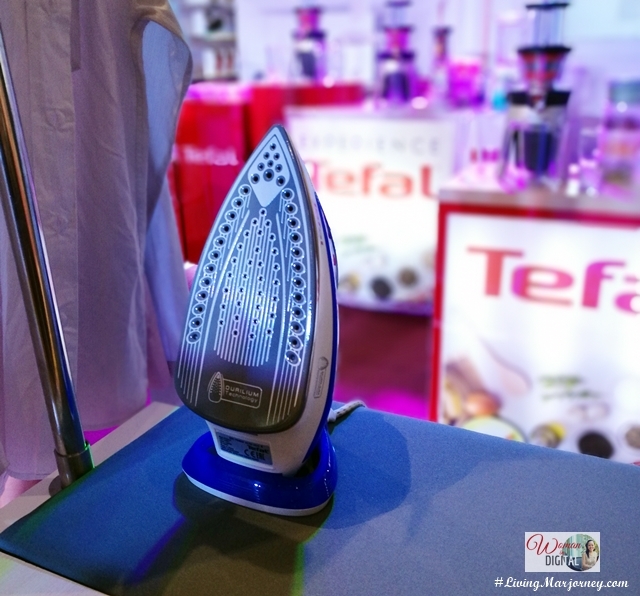 We're so glad that Tefal gave each one of us our own Tefal iron with steamer. Now, I'm excited to finish the clothes for ironing. 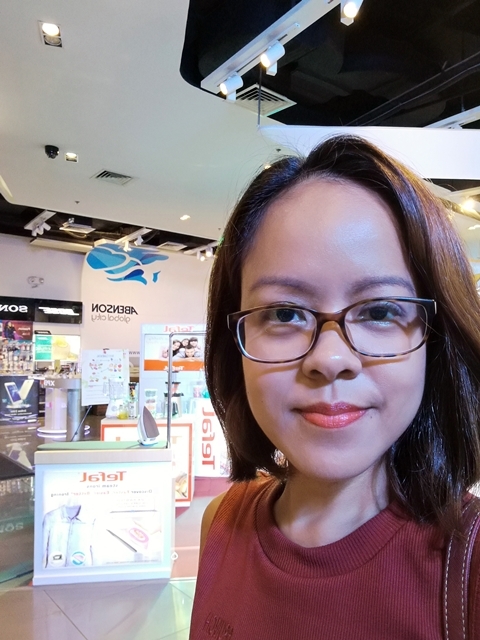 My #OABlogger colleague Cristelle and I joined the smoothie making activity. It's something we're more familiar and interested as well. We've been going around the country visiting organic farms and have tasted variety of green salad and healthy beverages. So we're very confident that making a healthy smoothie is just a piece of cake. Anyway, we used three kinds of small kitchen appliances - Tefal Fruit Sensation, Blendforce and the Infiny Press Slow Juicer. The beverages looks pretty and delicious. It even smells good. We also make dipping sauce for the grapes. 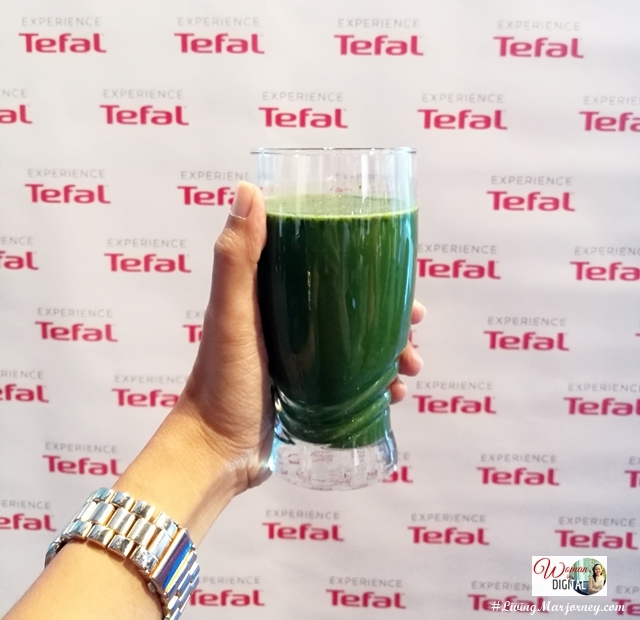 We made fresh juice combining spinach and melon. I was thinking if I should get an Infiny Press Slow Juicer since it's on sale at Abensons. 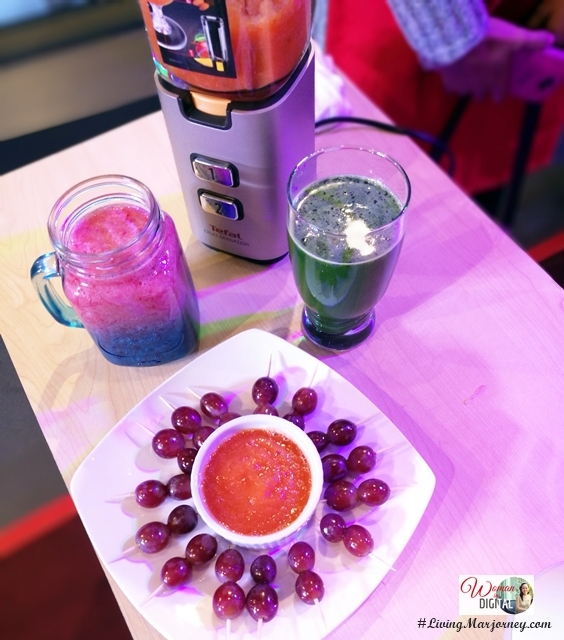 Its revolutionary Juice Press Technology makes each juicing process more fruitful that other juicer. 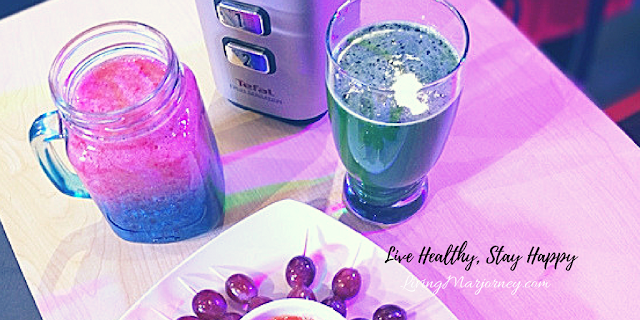 Up to 35% more juice, 30% more vitamins and 75% more anti-oxidant. It has 3-part feeding tube with stainless steel collector with drip stop system. The last group learned how to use Tefal fryer and multicooker. 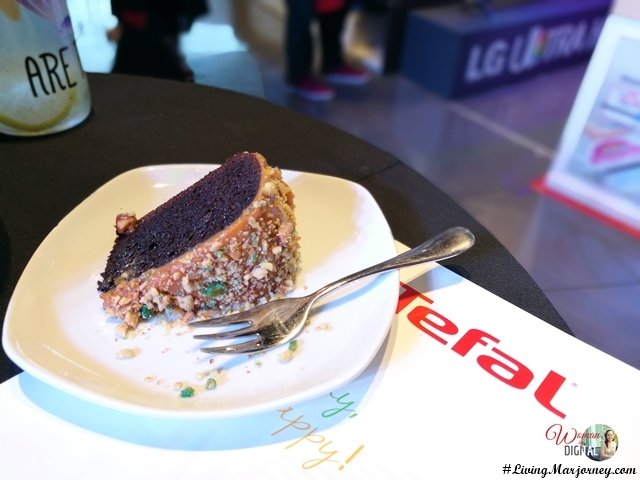 Chef Jonas Ng taught them how to make delicious meals using the two sophisticated kitchen appliances. 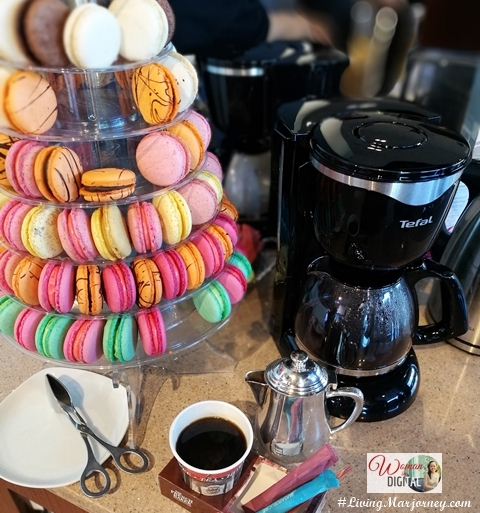 We enjoyed unlimited coffee and macarons by French Baker. They are using Tefal coffee maker as well. Thank you Tefal for the new addition to my kitchen appliances. 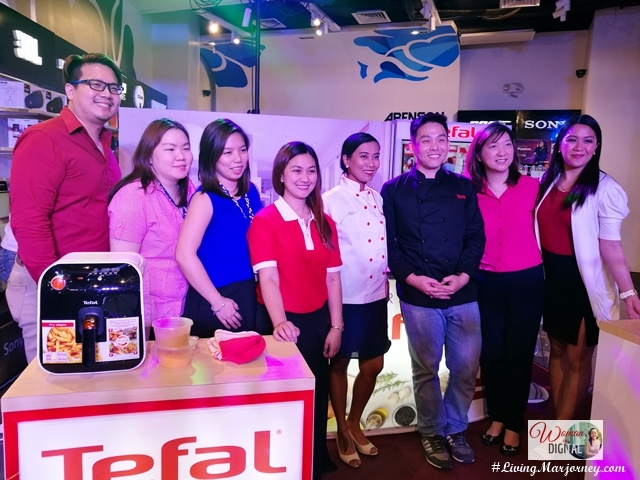 I'm excited to cook more healthy meals using the Tefal Mini compact steamer.